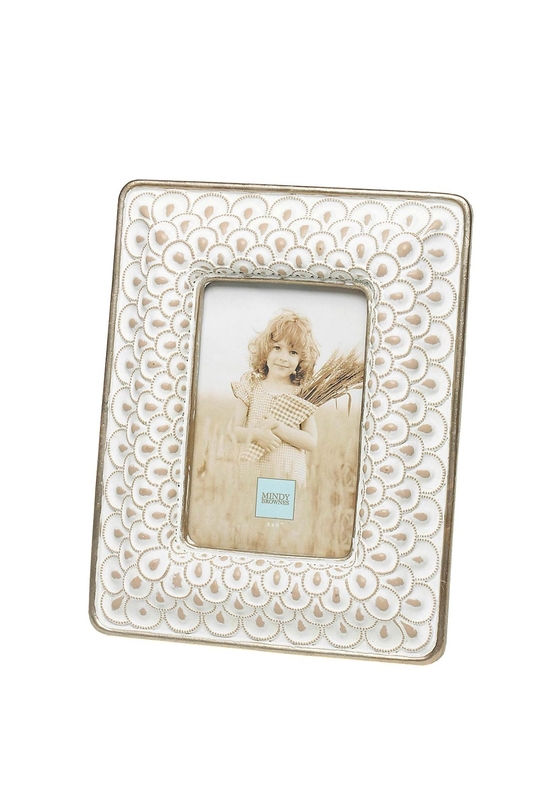 As part of a matching collection this Mindy Brownes frame will add character and a soft look to your room, allowing focus to be on your favourite picture. The frame will hold a 4 x 6 picture. The textured detailing is rugged and painted in a stunning cream with a dark beige peeking through. Complete with a black velvet background.